#GlutenFreeProblems? I have them too. For seven years, I have been on a gluten-free diet thanks to years of health issues and finally, a diagnosis of celiac disease. Though there are a lot of people who now require a gluten-free diet, there are still many people who just won't understand the weird things we go through. 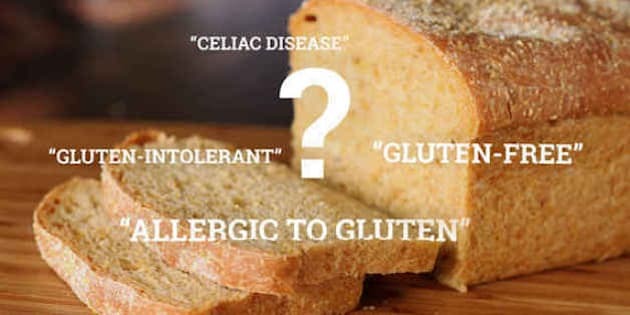 According to the National Foundation for Celiac Disease, it's estimated that 3-million people have celiac disease and an additional 18-million Americans have non-celiac gluten sensitivity. This means, there are a lot of people who require a gluten-free diet and while these big numbers mean solidarity in the #GlutenFreeProblems category, there are still many people who just won't understand the weird things we go through. 1. It's not you, it's me. You open your mouth to shout, "that has gluten in it" when you see someone putting a cracker to their mouth only to remember not everyone has this problem. Reading ingredients on everything, yes. Every. Thing. Because that one time you forgot to read the label of the hand sanitizer, which contains wheat germ oil, you thought you were going to die. You've answered the question, "what the heck do you eat" more times than you can count. Yes, people, raw vegetables and fruit are gluten-free. 4. On-hold music is never my jam. Spending countless hours researching and calling restaurants to see if they have anything on the menu that you can eat. Finally finding an "authentic" Mexican restaurant only to get there and discover it's really "Tex-Mex" and wheat flour-based, not corn. The side-eye of every waiter when you ask what the ingredients are in the salad dressing. 7. People also don't get it. Needing to explain to the same waiter why you can't just "pick out" the croutons in the salad they brought you. 9. Nighttime can be a scary place. Legitimate and terrifying nightmares of being lost in a wheat field. 10. Companies are out for the money. The rage you feel when you see "malt flavouring" in an otherwise gluten-free label because whyyyy? 12. Treating yourself is important. You consider a loaf of bread a "treat" because at $7 each, you can't afford to eat all those peanut butter and jelly sandwiches anymore. 13. Weight-loss "me too" stories are not the point. Hearing the "amazing" stories from friends of friends who went gluten-free because their stomach hurt too and now they feel so much better. Bonus, they're 15 pounds lighter too. 14. It's not a fad! GAHH! Having to hear over and over how the gluten-free diet is such a "pointless fad" and needing to re-explain the seriousness of celiac disease. 15. Tummy grumble pains hurt. When the office orders a pizza lunch for the staff and you have to sit and smell it for the rest of the day. 16. You need a science degree for decoding. Bringing a packed lunch to a fancy wedding and hoping no one at your table asks why. The true joy you feel when you realize there's an amazing gluten-free product available that replicates your childhood favorite cookie to a tee. Wishing you could have your mom's chicken noodle soup when you have the flu. Even the gluten-free substitutes don't taste as good as your mom's real soup. 20. The pain! Oh, the PAIN! The way everything in your body hurts when you accidentally eat gluten. It seems to happen even to the best of us. And it hurts so bad, every time.